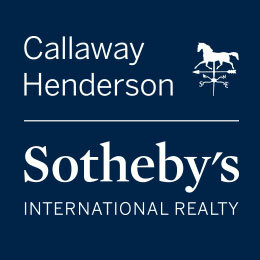 Callaway Henderson Sotheby’s International Realty is the leading local, real estate firm that combines the rich heritage and deep experience of two highly respected family firms with the global reach of the Sotheby’s International Realty brand. Our sales associates possess the local market expertise, the access to unparalleled marketing resources, and the determination to help achieve the best results for their clients. We proudly support the Hopewell Valley Arts Council and their mission to celebrate and promote art. We also appreciate the many creative talents of our fellow residents and are grateful to be a member of this uniquely vibrant community. Please stop by and visit our ox, Olde Blue designed by Dorothy Bryan, at our Pennington office located at 10 South Main Street.